Cycle news, reviews and chatter! 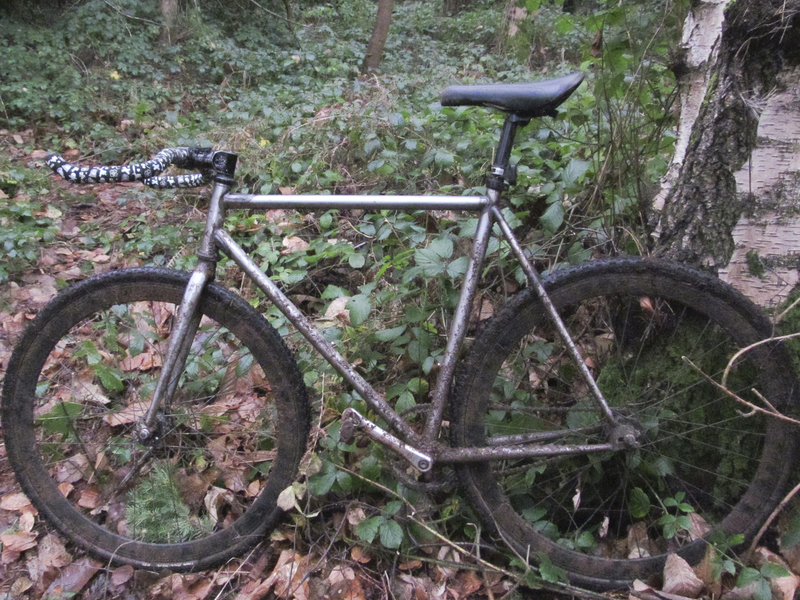 I recently converted a Eighthinch Scrambler V3 into a fixed cyclocross bike, it’s so much fun. I was slightly weary of cheap track frames, I often thought they would fall apart really quickly and it was just more companies trying to cash in on the popularity of the fixed gear bike. Eighthinch have been making affordable and well build products for the past few years, so I was keen to try out one of their completes. I rode it on the road for a while and it felt nice it’s fairly stiff and responsive, the geometry is not what I’m used to as it is very relaxed and if im honest I dislike the fork..it just looks horrid. Though my hatred for the fork turned into smugness when I decided to put some cyclocross tyres on it, all it took was a tiny bit of filing and the fitted snugly. Since it’s conversion into a fixed cyclocross bike the Scrambler has performed well and provided me with nothing but fun. Ok the clearence is a bit tight, but it seems that that also works to its advantage, the mud has no where to clog up, it just get scraped off but the tight clearance.I’ve had a huge amount of fun on this bike and it has stood up to everything I can throw at it. I tend to destroy everything I use relatively quickly and this is still going strong. I am looking forward to riding a proper cyclocross bike though this fixed cxss machine will always provide me with a intense and fun ride. I would definitely recommend the Eighthinch Scrambler and the Julian wheelset, whilst they might not be the prettiest or nicest things on the market they are a bargain and will last.